The new interdisciplinary research consortium "Chemical BioMedicine" (ChemBioMed) seeks to extract new materials from natural sources, such as fungi and deep-sea sponges, which could help dissect disease mechanisms and prevent illnesses. 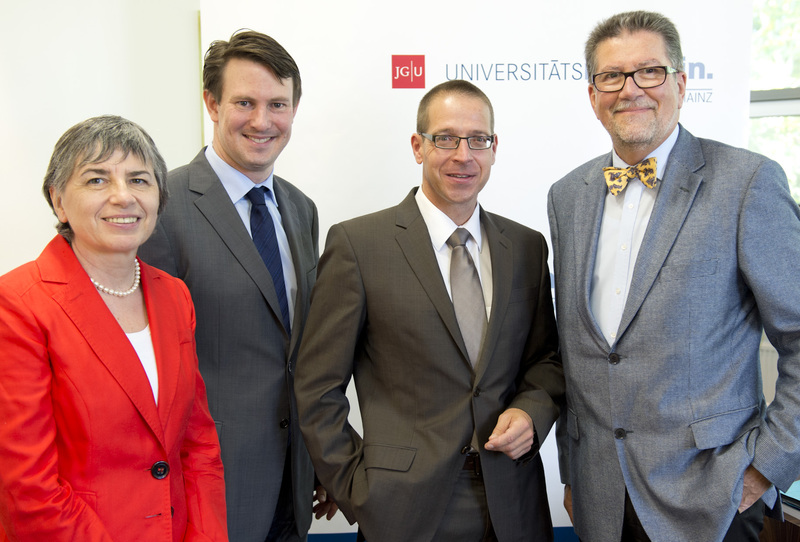 The Carl Zeiss Foundation is supporting the innovative research collaboration between the University Medical Center Mainz and the Biology and Chemistry institutes of Johannes Gutenberg University Mainz (JGU) with €1 million. This sponsorship is being provided as part of the foundation's program "Promotion of University Research Structures." Today it is mainly chemicals that are used worldwide for the prevention and treatment of illnesses such as cancer, Alzheimer's disease, and inflammatory disorders. However, natural products extracted from fungi or marine sponges used as sources of potential new active substances have a decisive advantage over purely synthetically-produced products: Evolution has already pre-tested them in living organisms. Consequently, the new ChemBioMed project aims to develop a seamless research pipeline, starting with the extraction and identification of bioactive natural products, the analysis of their structure and synthesis, followed by the exploitation of their structure-activity relationship for appropriate biomedical applications. "To meet this ambitious challenge, we depend on exceptional minds as well as sophisticated technologies. So, physicians, chemists, biologists, and bioinformatics specialists need to join forces in the research concept," explains one of the two coordinators of the consortium, Professor Dr. Roland Stauber of the Department of Otolaryngology, Head, and Neck Surgery – Plastic Surgery at the Mainz University Medical Center. It is often difficult to use natural products because of their complex structure, representing a major challenge for their synthesis, and because of their limited availability. "However, with our ample experience in the chemistry of natural products adopted over the last years we are now well prepared to overcome such obstacles," the second coordinator of the consortium, Professor Dr. Till Opatz of the Institute of Organic Chemistry and Director of the Natural Product Synthesis Center at JGU, continues. In addition, the Institute of Biotechnology and Drug Research (IBWF) and the robotic platform at the Mainz Screening Center are major pillars promoting the workflow of the project. "Clearly, the current support by the Carl Zeiss Foundation has helped us reach a critical milestone, paving our road towards excellent research," summarizes Roland Stauber looking towards the future. The Institute of Biotechnology and Drug Research (IBWF), cooperation partner in the Center of Natural Materials Research Rhineland-Palatinate – Center of Excellence in Integrated Natural Materials Research, is currently based in Kaiserslautern, but will soon be relocated to Johannes Gutenberg University Mainz. Among other things, the IBWF undertakes interdisciplinary, applied research with the aim of developing new active substances from natural sources. "We bring with us specialist knowledge and experience in the area of drug and natural materials research and look forward to cooperating and networking with the faculties of Biology, Chemistry, and Medicine at Mainz University to tap the scientific and economic potential," says PD. Dr. Eckhard Thines, Director of the IBWF and, from October 2012, Professor of Biotechnology and Drug Research at the Faculty of Biology at Mainz University. Mainz University thus represents an ideal location for the new ChemBioMed project. Extensive contacts and the proximity to leading pharmaceutical companies will further help to efficiently combine fundamental and applied clinically-relevant research. Hence, JGU sees enormous scientific and economic potential in this research area – especially facing the increasing need for novel and more effective "chemical tools." "A research concept of strategic importance has been promoted thanks to the support of the Carl Zeiss Foundation. This is another important step in establishing the Mainz science hub as an internationally important center for molecular medicine," states the Chief Scientific Officer of the Mainz University Medical Center, Professor Dr. Dr. Reinhard Urban. "I especially welcome the intention that not only researchers but also students will benefit from this prestigious support. Because this future-oriented research concept complements our degree programs in Biomedical Chemistry, Biomedicine, and Applied Bioinformatics, it gives our students the chance to participate in research projects and applications at an early stage," says Professor Dr. Mechthild Dreyer, Vice President for Learning and Teaching at JGU. "This supports our concept of research-driven teaching and thus the integration of outstanding research and teaching as a quality hallmark of our university."